You are currently browsing the tag archive for the ‘Jeffrey Skinner’ tag. My longtime readers are familiar with my view of an art making world that is so striated that the layers often never even touch each other. For the alien who arrives on earth wanting to crack the code on what is going on with these humans and contemporary art, good luck making sense of its many faces. The rarefied strata of auction houses and by invitation only art events is its own unisphere. 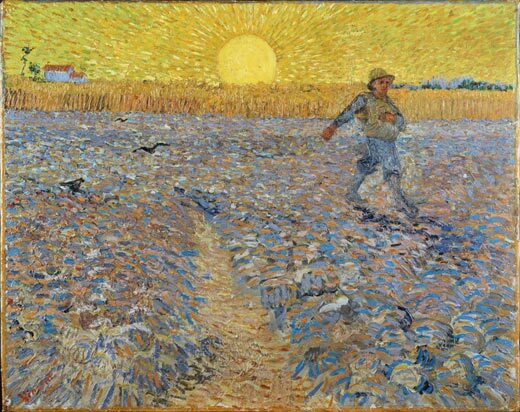 Meanwhile there are millions of fieldworkers sowing conceptual seeds, plowing the plein air furrows, harvesting the artifact grain, leveling the minimal fields for the inertia of winter. Like Howard Zinn‘s wise reminder that the newspaper is a completely inaccurate portrait of reality (it’s where the bad news gets reported with little of the immeasurable good that happens every day), the point of view of the field workers is rarely heard. Meanwhile news about Jeff Koons, one of the many Kardashians of the art world, streams at us steadily. So how refreshing to find someone who is speaking for the rest of us. Jeffrey Skinner‘s book, The 6.5 Practices of Moderately Successful Poets is a quirky blend of memoir, mentoring and comic musings on a life in the arts. While poetry has its own particular terrain, Skinner’s mapping of that territory produces useful guidelines for visual artists, musicians and other expressive aspirants. This is the first book I have found that is written to the middle of the spectrum, to those who are neither beginners nor celebrities. Full time field workers. I see no reason to spend your life writing poems unless your goal is to write great poems. An ambitious project—but sensible, I think. And it seems to me that contemporary American poetry is afflicted by modesty of ambition–a modesty, alas, genuine…if sometimes accompanied by vast pretense. Of course the great majority of contemporary poems, in any era, will always be bad or mediocre. (Our time may well be characterized by more mediocrity and less badness.) But if failure is constant the types of failure vary, and the qualities and habits of our society specify the manners and the methods of our failure. I think that we fail in part because we lack serious ambition. The field workers I know have no shortage of serious ambition. That is not the missing piece, Donald. They get to write poetry. That’s it, really. Sometime early in life moderately successful poets discovered the world and felt their DNA rise up and lean toward it like iron filings to a magnet. Every (moderately) successful poet I know has taken the long view. What is the long view? Well, what it’s not is a stab at the art, a dabbling, a part-time avocation. Taking the long view has nothing to do with a desire for the cool of being a poet. . . . The long view is not an infatuation. The book can be read in one sitting but the wisdom stays with you. Two thumbs up for anyone who has made creativity their life path.